"The Ghosts Go Haunting" is by Helen Ketternan. It came out on September 4, 2014. The book is set in a school, where a parade of creatures shows up on Halloween. 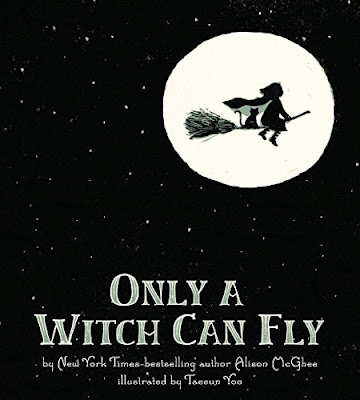 "Only a Witch Can Fly" is by Alison McGhee. Meant for ages 4 through 8, it tells the story of a little girl who wants very much, and tries really hard, to fly. 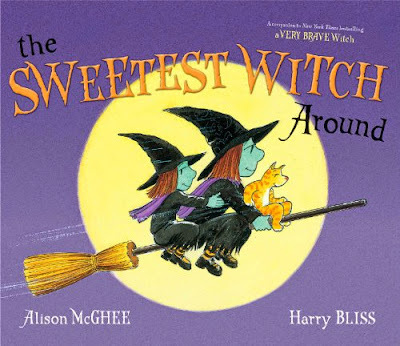 Also by Alison McGhee, The Sweetest Witch Around tells the tale of a witch with a powerful sweet tooth. In "Monster Cookies," Little Monster is having a party and everyone's invited. 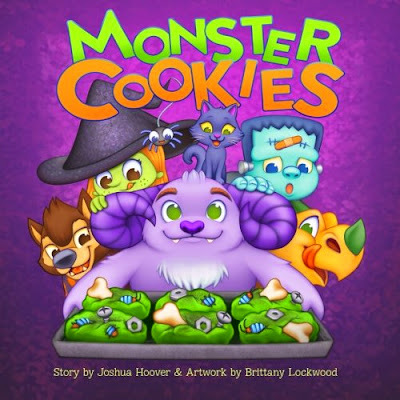 Five spooky friends try to make monster cookies together. 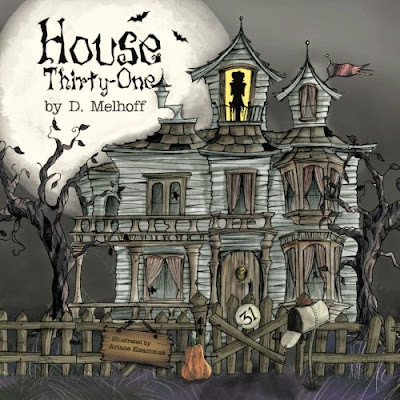 "House 31" is probably best for children over 6 or 7. 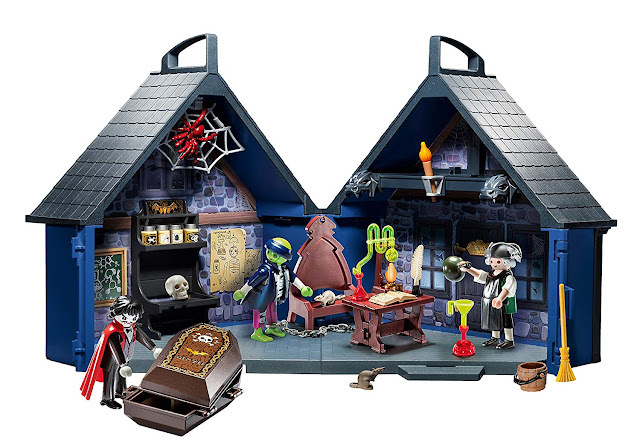 "When an old house appears on Halloween morning, the neighborhood children soon discover they’re in for a treat. And not just any treat—because when the door creaks open and the mysterious owner starts handing out magic candy, each child is struck with visions of their deepest desires. But when two of the boys return to the house demanding more than their share of sweets, the trick's on them. Because the man with the magic candy is already waiting—and he’s no man at all..."
Oh this is adorable! 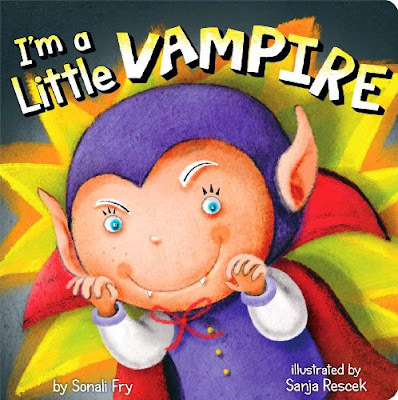 "I'm a Little Vampire" is a board book for babies. 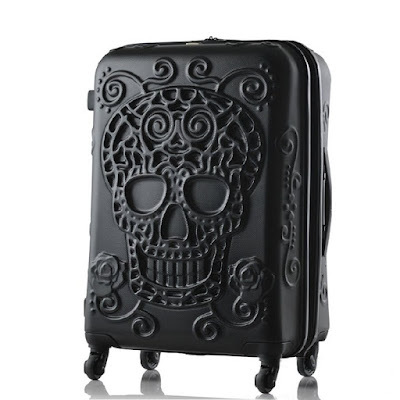 It features a cute rhyme: "I’m a little vampire, short and stout. Please give me treats, so I won’t pout."